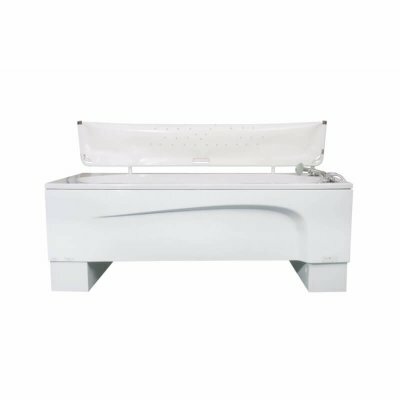 The Rio height adjustable bath with optional patented Neatfold stretcher from Astor-Bannerman makes a great addition to most care settings, particularly in the home where it can also be used by the whole family. This beautifully UK designed and manufactured bath will enhance any bathroom environment, allowing the client the dignity of taking a bath in their own home, while also ensuring carers can bathe the user at a safe and comfortable working height, helping to reduce the risk of back strain. 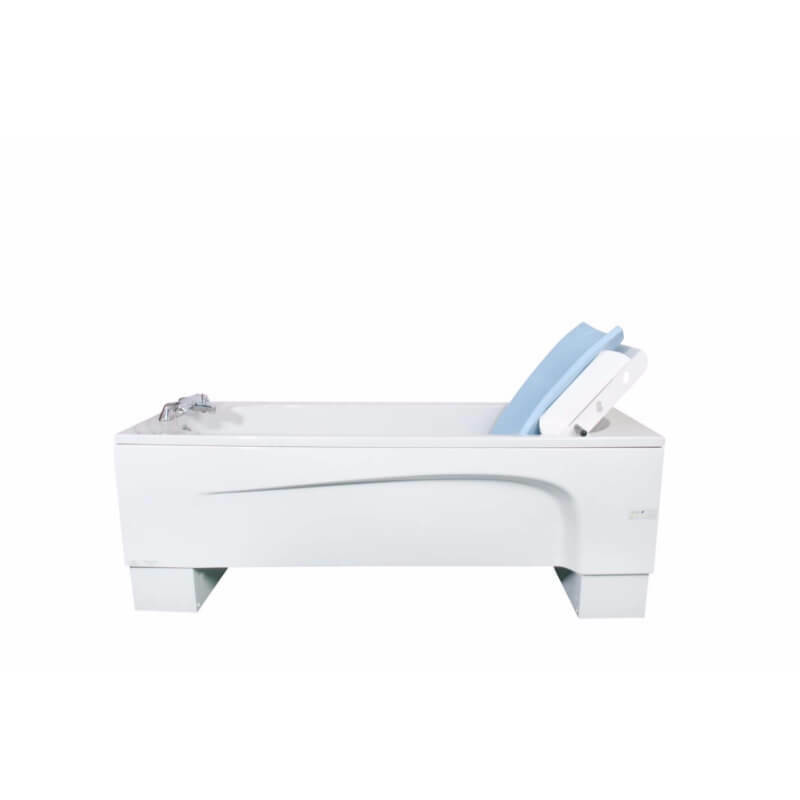 Incorporating the highest quality materials including twin actuators and smooth rail systems, the Rio assisted bath is supremely stable in any position and is one of the quietest height adjustable baths on the market today. 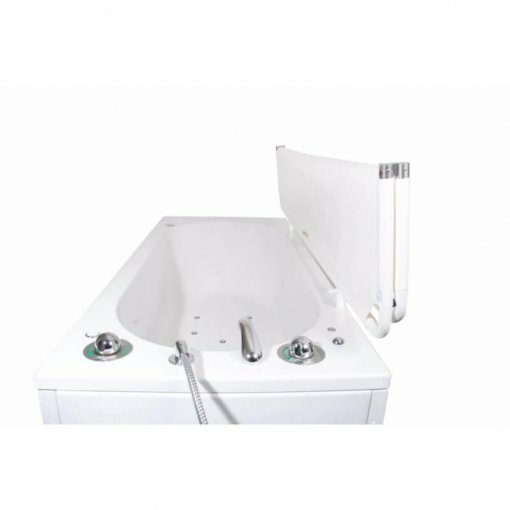 The Rio adjustable bath has a variety of features incorporated into the design as standard, such as an extra-large open area under the bath, which gives easy access to all types of mobile and floor hoist. 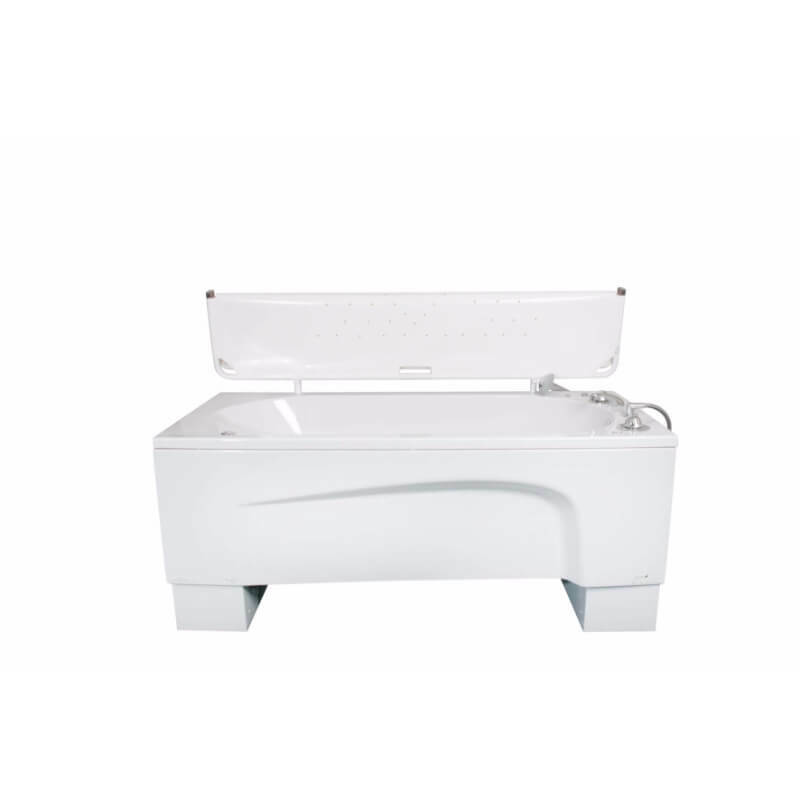 With a width of 755mm, the Rio can comfortably accommodate all types of internal body bath supports to maximise bathing pleasure. 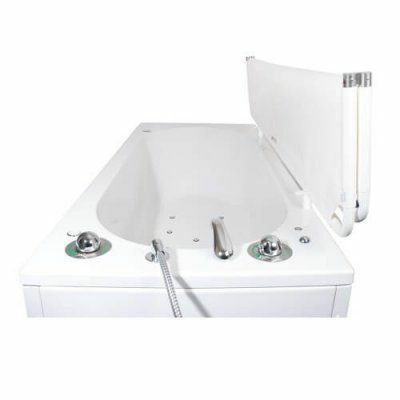 This bath has a 3 year warranty* for complete peace of mind and is has range of thermostatic mixer tap options and a WRAS approved gantry shower if required. 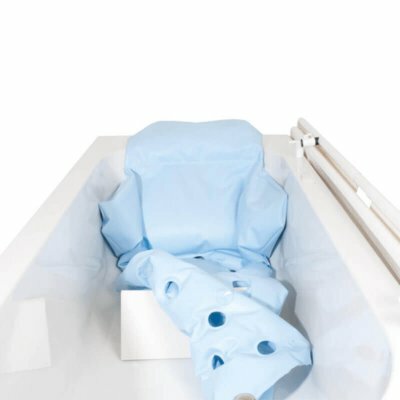 It can also be fitted with the unique patented Neatfold showering, dressing and changing stretcher as shown. The Neatfold stretcher is only available on Astor-Bannerman baths and is an invaluable asset for drying and changing when used in conjunction with a mobile or ceiling hoist. Astor-Bannerman (Medical) Ltd supplied this product to a family featured in the BBC One series ‘DIY SOS: The Big Build’ and was used as part of a life changing transformation to the home of a family in Herefordshire. My daughter is 8 and loves her new hi-lo bath! 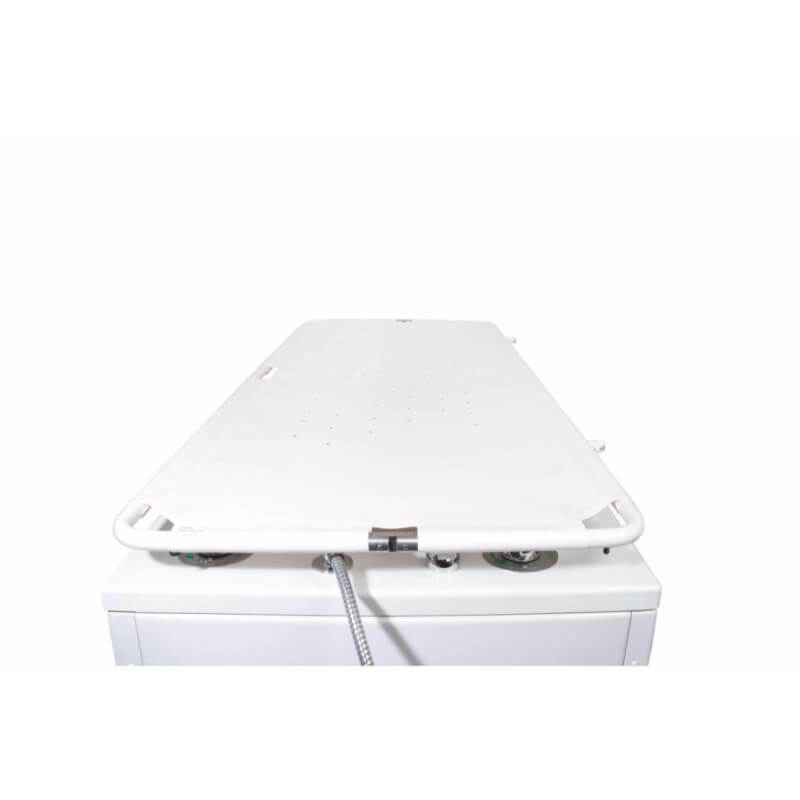 I love it because it saves my back and makes my life much easier. 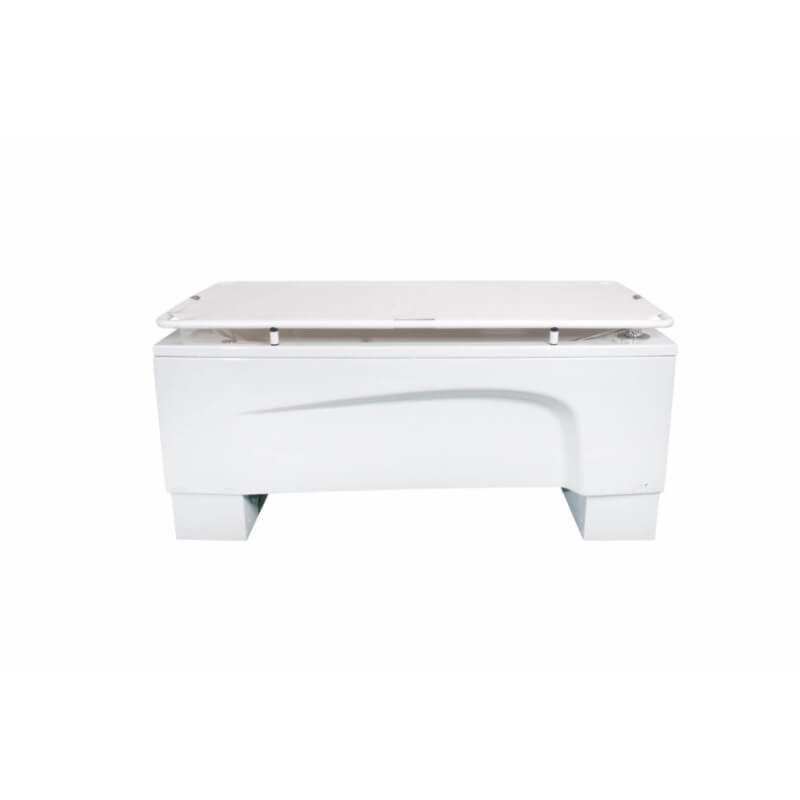 The service, friendly office and great fitter have provided an A* service. Well done to you all – I wish all disabled companies and services were like you – Keep up the good work! 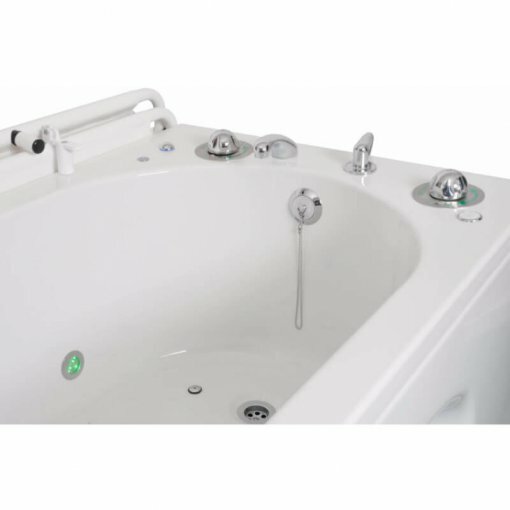 Its things like the great Astor Bannerman Rio Bath that makes Bath time so enjoyable for Archie. Having a bath before his big build was almost impossible. 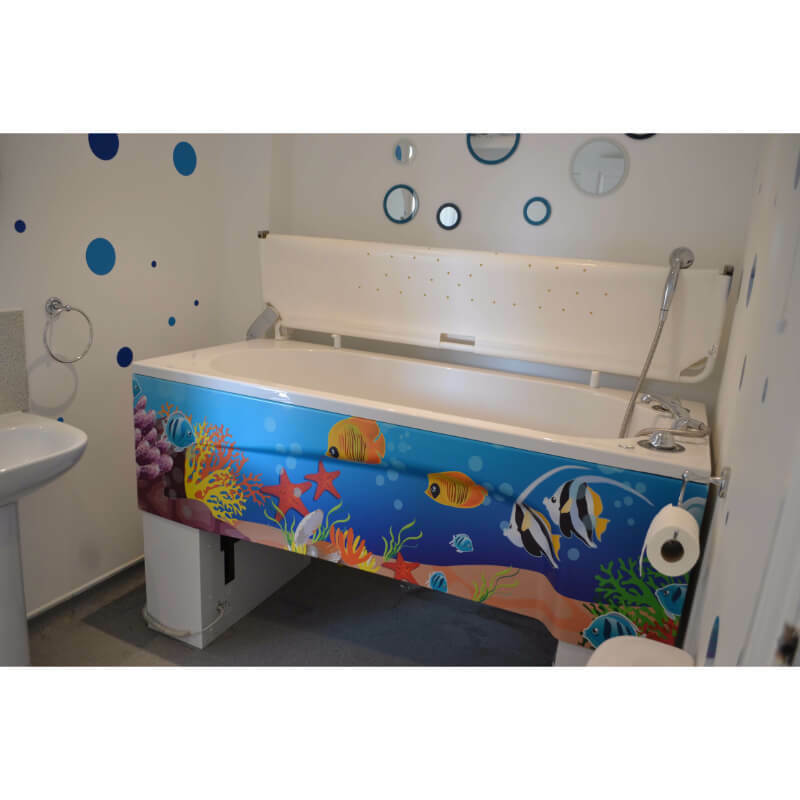 The Rio bath was installed in July and the difference it has made to us as a family and Georgia in particular is amazing. Seeing the way Georgia relaxes and how happy she is means the world to Michelle and I as we have always wanted the best for her and the bath does just that. I would not hesitate in recommending Astor-Bannerman to other families in a similar situation to us!